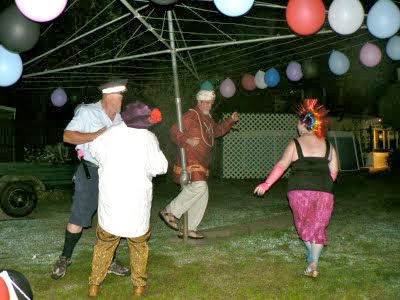 In 2009 we had a lot of dramas, but none of them stopped us going up to Brisbane (actually Ipswich) in November for Janet’s cousin’s twin daughters 40th birthday bash (I wish they were more closely related, it would save keystrokes). We left on 7 November and were away for about 4 weeks, getting back just in time to not miss all the Christmas silly season stuff. 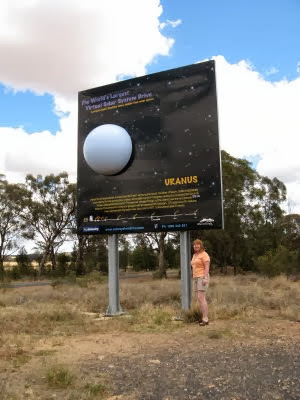 We went via the Barrier Highway through Broken Hill, Wilcannia, Nyngan, Cobar, Coonabarabran, Narrabri, Bingara, Glen Innes, Tenterfield and Warwick to Ipswich. We had a really good time in Brissie, staying with Janet’s cousin. 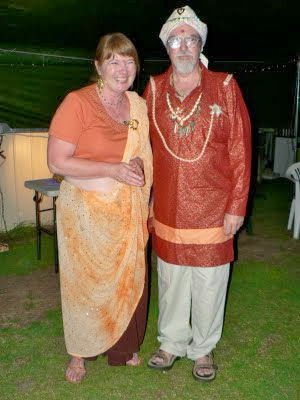 The bash was a fancy dress party and I went as a Maharajah and Janet as a Maharini. 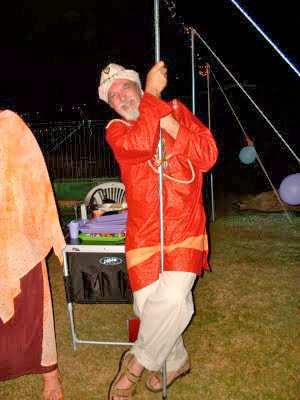 If you don’t want to see someone in a turban pole-dancing around a Hills Hoist, look away now. Who called the police? Oh, it’s OK, he was the host in disguise. When we eventually dragged ourselves away, we had been gone 4 weeks and did 4500 km, which is a very long way for a birthday party. We would have been away longer but it was very hot and humid and you just can’t do sight-seeing when it’s over 40º. 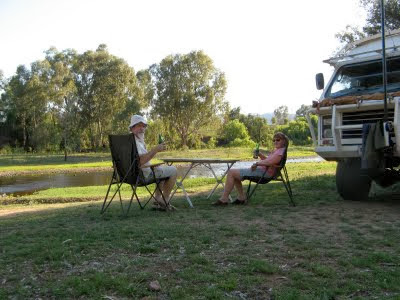 On the way to and from Brisbane (which is more than a week’s drive each way), we stayed at a delightful free campsite alongside the Gwydir River in the town of Bingara, in northern NSW. The town’s forward thinking council are actively attracting motor homers to come and stay in the town for free, in the expectation (accurate as it happens) that they will patronise local businesses and keep the town alive and thriving. 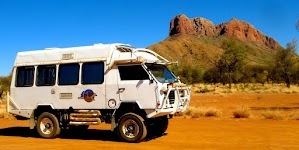 We fully support that kind of RV Friendly symbiotic environment. 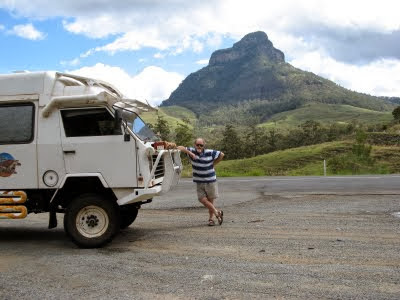 On our trip we managed to check out our new antenna for the HF radio in our Oka. 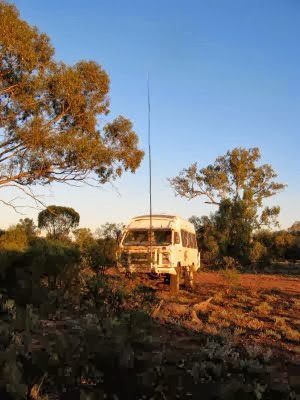 It’s a 9 m high fibreglass telescopic whip antenna to enhance our communications abilities when we are remote from civilisation, which we seem to be most of the time. 9 m might seem a tad large compared with your average car radio aerial, but when it comes to HF radio transmissions, size definitely does matter. We do, however, have to maintain a keen watch out for thunderstorms as it could be attractive to lightning. In a thunderstorm, you don’t want to be the tallest thing around. (Actually I know exactly where it was, and so I should with all the technology at our fingertips. 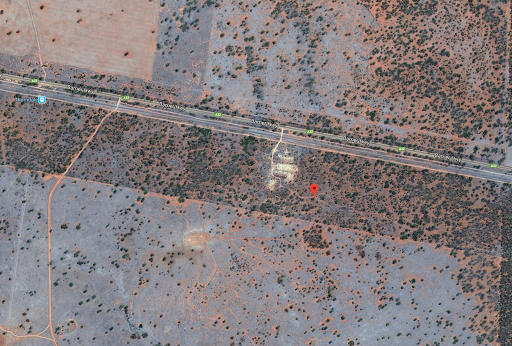 It’s location is S31’ 33.72”, E146’ 55.19”, which is 25 km west of Nyngan, in bushland about 1 km south of the Barrier Highway, across the railway line and left at the next bush). One of the other nice places we stopped at on the way back was Peterborough in the mid-north of South Australia. 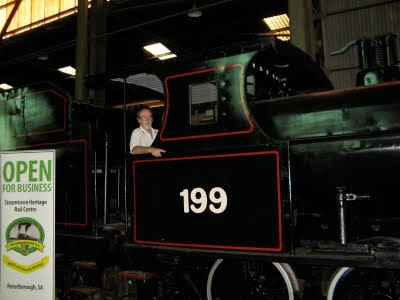 They have an excellent railway museum there with a round house, engines etc, but unfortunately no working locos at the moment. It’s ironic that the main Trans-Australia railway passes through the town but you can’t actually go there by train. I’ve asked them to fix that.